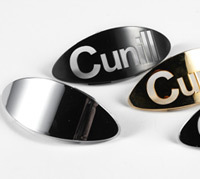 All our products are accompanied by a range of high quality accessories. Personalisation system with chrome plates on the doser and on the rear of the bodywork. 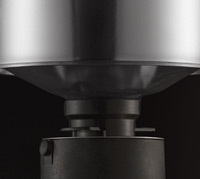 Our adapter for metallic hoppers is provided with an acoustic warning that is activated once it detects the end of the coffee beans in the hopper (special for metallic hoppers). 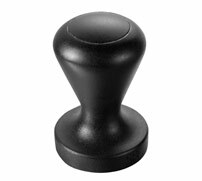 Coffee tamper made of unbreakable and non-deformable material. A basic tool for baristas and coffee professionals. 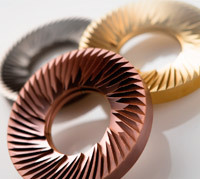 Burr grinders for high-performance production such as: hardened Steel (2.500 HV), titanium-coated or red speed coated millwheels (3.200 HV). 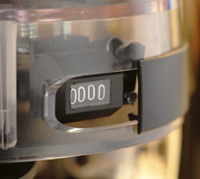 Useful mechanical digital counter to control production of the coffee mill.